Founded in 2161 the United Federation of Planets is an alliance of several planets dedicated to peace and scientific exploration. It is governed by the Federation Council, which in turn, is led by the council President. The Federation's organization for interstellar exploration and defense is Starfleet Command. Starfleet's mission to explore strange new worlds, to seek out new life and new civilizations, is balanced by its Prime Directive: To not interfere in the natural development of any unaligned alien race. As a result, first contact with other races is very important to the Federation. For every successful first contact, such as Zefram Cochrane's peaceful meeting with the Vulcan's, there has been a dangerous encounter, such as the one with the Klingon Empire. The Federation is also known for its history of able diplomacy. Through the Khitomer Peace Accords of 2293, the Federation founded a friendship with their former adversary, the Klingon's. Likewise, the Federation has used diplomacy to rein in the Romulan Star Empire and Cardassian Union by creating buffer zones between there territories and the Federation's. 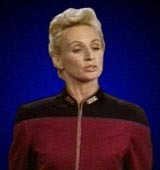 This reputation for diplomacy is the Federation's most significant game play advantage. In diplomacy, the Federation's credits are extremely effective in establishing treaties. Minor races show more sympathy towards the Federation than other empires. In combat, the Federation also has an advantage with strong star ship shields and hulls and it receives a large bonus for liberating inhabited solar systems.